Since the beginning of 2018, GP Strategies SuccessFactors EMEA Practice has been building a German consulting team focusing on SuccessFactors implementation and support services. GP Strategies is very pleased to welcome the following colleagues that will add important experience and expertise to as we continue to increase our capacity to meet the demand to deliver world class SuccessFactors services. 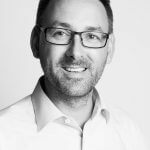 Marcus joins us with more than 20 years’ experience in HR IT, working at SAP, SuccessFactors, NGA, and most recently as VP HR IT Management at Deutsche Telekom AG. Marcus has a strong background from SAP with more than 6 years of SuccessFactors experience. He has held several executive positions within the professional service industry covering both sales and delivery responsibility for global teams. Marcus will be leading our commercial expansion in Germany, Austria and Switzerland. Raik joins as a consultant with certifications in Recruiting Management, Employee Central, Perform & Align, Learning Management and Onboarding. Raik has implemented SuccessFactors for global organisations and has onsite implementation experience from EMEA and Asia Pac. Raik has a strong operational background in recruiting. He has held several recruiting positions both in-house as well as in agencies. Merle is consultant with a SAP Certified Application Professional for Employee Central and experience in modules like Recruiting Management and Perform & Align. She has more than six years’ experience with implementations of all sizes for global organisations including on-site experience in EMEA and Asia Pac. Merle has international consulting background with Employee Central Implementations that could span across 150+ countries and ensure a global alignment. Ritu joins as a consultant with certifications in Employee Central, Recruiting and workforce analytics & planning and has experience in working with the Onboarding module. Ritu has experience in working on Dell Boomi integrations and have been certified on B1 level. Ritu has implemented Successfactors Employee Central for global organisations and has international consulting background. Sravan brings an extensive integration experience between SuccessFactors and other systems with design and implementation in Dell Boomi and SAP Cloud Platform Integration (HCI). Sravan joins as a consultant with SAP SuccessFactors Associate Certifications in Recruiting Management, Recruiting Marketing and Employee Central. Sravan has an international consulting background and has been part of Recruiting and Employee Central implementations. We are looking forward to working with our new colleagues as we make a lasting impression on Germany.